After playing through the welcome bonuses, AU players can look forward to the Monday Free Spins and Friday Reload promotions. Simply make a deposit on Mondays and use the ‘RELOAD’ bonus code on Fridays. PlayAmo Casino is backed by some of the industry leading software providers such as BetSoft IGTech, iSoftBet, Evolution and Microgaming but also has some of the smaller ones like Endorphina, Belatra and Ezugi, purely by choice. 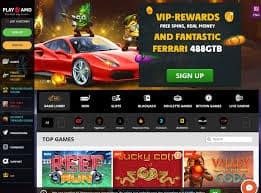 This makes PlayAmo a multi-platform casino.The reason being so that users at the site will have access to some of the most popular games in the world but will also play to a unique core audience that offers games only available at a few online casino sites. As you head to the homepage, you’ll be presented with the vast array of games that PlayAmo has at its disposal. Aside from the record-setting 8 second sign up, that you’ll see on the front page, you can sort by game type as well as software provider. The site offers top games that will rotate on occasion as well as some of the popular slot titles, table games and live casino games too. If you’re someone that enjoys blackjack and head into the category on the site, you’ll be met with many different variations of the game. There are a number of live blackjack games to play as well as Infinite Blackjack, Blackjack Multihand Pro, European Blackjack, Double Exposure or even Pontoon. The same is true of other table games like roulette where you’ll be able to try European Roulette, American Roulette, Speed Roulette, or Roulette VIP at any time of the day or night. There’s always an option and that extends to games like poker, keno, blackjack, slots, pokies or anything in between. PlayAmo Casino offers over 1,000 different games in total and of that number, 600 of them are pokies. You’ll be able to get your fill no matter what game you’re looking for, whenever you play at PlayAmo Casino online. Level 10: 5 000 000 CP Prize: Ferrari 488 GTB supercar! In addition to welcome bonuses, PlayAmo Casino offers a number of promotions designed to help players boost their bankrolls. Reload Bonus – Players can claim a reload bonus of 50% up to $250 plus 100 free spins on their Friday deposits. They can use their free spins on Fire Lightning slot. The online casino will credit the first 50 free spins to your account 24 hours after you make your deposit. The rest of the free spins will be credited after another 24 hours.To receive this bonus, players have to check the box against the statement, “I’ve got a bonus code” while loading their account. A field appears on the screen when they do so, and they have to input the bonus code RELOAD in that field. Free Spins – PlayAmo Casino credits players’ accounts with 100 free spins on Fruit Zen or Hotline slots every Monday. To qualify, players have to log in to their accounts on Mondays and make a deposit. PlayAmo Casino offers a number of safe, secure, and reliable deposit and withdrawal methods. The payments page at the online casino gives complete banking details, including a list of payment methods, deposit and withdrawal limits, and withdrawal time frames. The online casino processes payout requests in just 12 hours, but players can help speed up this process by uploading scanned copies of documents that prove their identity on their profile page. Players can use the following methods to instantly load funds in their account. All these options are free of charge, except Cubits, which bears a fee of 0.2% per transaction. While credit card withdrawals take 1 – 3 banking days, all the other withdrawal methods are instant. Players don’t have to pay fees for using any of these methods to withdraw their winnings. The only withdrawal method that is not free is Cubits, which carries a fee of 0.2% per transaction. Getting started at any casino — otherwise or Bitcoin — may raise questions, particularly for gamblers. Punters in PlayAmo Casino can get a whole lot of their questions answered on the handy page of questions already answered for you, which covers a selection of themes from banking methods of the website. And, if you can not find what you’re searching for one of those FAQs you can get in touch with a representative in the casino with a chat portal site that’s available in German, English, and Russian. PlayAmo Casino has an impressive selection of casino games. 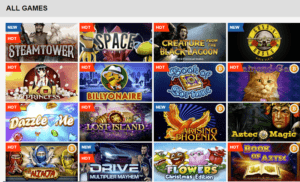 Moreover, the casino keeps including new games to its collection frequently, thus providing new, interesting and unique content for its players. 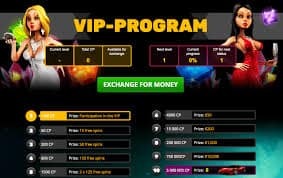 The casino has had a strong start in the industry, and players can expect more and more features from them in the future.